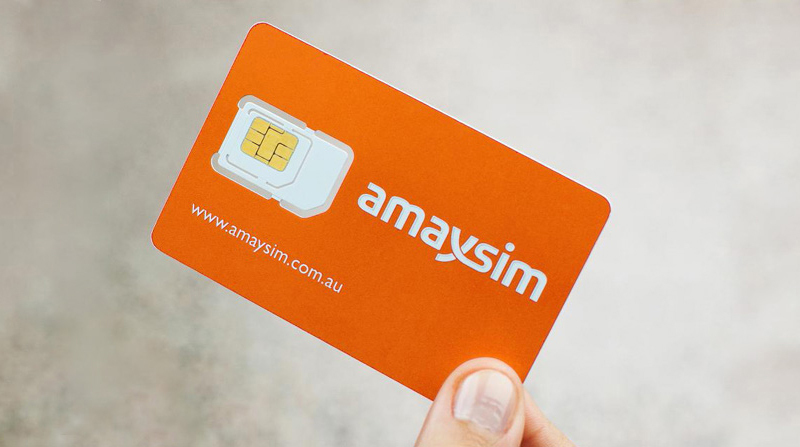 amaysim is a leading Australian online-led Mobile Services Provider (MSP) that has grown from a startup to the fourth largest independent MSP in Australia by number of subscribers. The company sought a solution to empower non-technical business users of all skill levels to make data-driven decisions in real-time. Today at amaysim, business leaders and users have regular meetings to look at sales trends, renewal rates, port outs and other key metrics that drive the business. Using Tableau, amaysim was able to visualise critical business data to support senior decision making, improve workforce productivity and reduce time to insight. With a business model built on innovative technology, amaysim has garnered over 700,000 subscribers in less than five years. Such fast growth presented challenges as the organisation moved to analyse and obtain insights from all the data it collected. "Data driven decision-making is one of the pillars of our business strategy,” says Julian Dell, amaysim IT Director. amaysim has over 10 billion call data records, and this number grows by more than 20 million call data records daily. The data it stores is complex and comes from multiple sources including Livechat, Zendesk, call data records, Google Analytics and more. amaysim’s previous BI methodology required coding which could not easily scale to business users. Insights could only be sought by one or two individuals within the organisation, so business gains were limited by resources and the time-intensive process. “Due to the backlog of requests, if any executive asked a question, it could take the analysts weeks to get the data before they even could visualise it. Scalability wasn’t where it needed to be,” says Dell. Leaders recognised the bottom line value that amaysim could access by analysing its data, but the low productivity levels of the current solution stopped the team from fully realising this value. Decision makers set out to find a solution to help amaysim transform data into insight and use analytics to drive business performance. Adrian Loong joined amaysim in 2014 and was tasked with developing a BI strategy that suited amaysim and its needs. He sought a solution that could provide senior executives with the ability to make data-driven decisions with real-time intelligence. It also needed to enable other business people in the organisation to seek data insights, rather than rely on highly skilled technicians to do all of the analysis. Having used Tableau at two previous organisations, it was easy for Loong to recommend Tableau. “I introduced amaysim to Tableau in my first month at the company. I had tested other solutions but they were too slow, too expensive, or simply didn’t meet the brief. I’d had a great experience using Tableau in the past and knew it could deliver what amaysim was looking for,” said Loong. Loong just had to demonstrate that capability to senior management. With one Tableau Desktop license, Loong did short proof of concepts (POC) with the new tools based on current business pain points. As an example, Loong used technology from Alteryx to combine disparate data sources before using Tableau to visualize the results in a dashboard to management. By continuously delivering results and insights to the management team, it was a straightforward decision for amaysim to adopt the Tableau solution. amaysim undertook an end-to-end replacement of their technology stack and now uses Amazon Redshift as their database, Alteryx to combine the data, and Tableau to visualise it. With Loong’s experience using Tableau, it was a fast and simple process of introducing amaysim to the technology and rolling it out across the company. amaysim uses Tableau Desktop to visually analyse its data and Tableau Server for publishing and sharing finished work. “We introduced Tableau Server with collaboration in mind— to share dashboards and insights— while Tableau Desktop was intended for extensive slicing and dicing,” said Loong. amaysim offers several low-cost, pay-as-you-go plans. Users only pay for what they use. In the nine months since implementation, amaysim has seen vast improvements in workplace productivity and is able to make better educated business decisions, faster. No longer is it a two to three month process to get the answers they’re searching for. Visualising the data allows any user to immediate identify the trends occurring within our business so we can act on it. “Thanks to Tableau and its ability to visualise critical business data, amaysim has made huge strides in its journey from reactive reporting to proactive decision support,” said Loong. amaysim now has a three person analytics team covering a wide span of functions including finance; customer acquisition and retention marketing; plus retail and online sales. It is able to get the data it needs faster; projects that would have taken over two weeks now take a few hours. Using Tableau, amaysim can do more than save time, it has seen hard benefits that improve bottom line performance. “A team member simply has to ask a question – such as ‘why are customers leaving?’ and the data can be sourced and presented by different products, channels, revenue spend, and more. Tableau helps us to present a clear answer,” said Loong. amaysim is also empowering its business users to ask their own questions using Tableau’s self-service data sources which significantly increase workplace productivity. Line of business users are encouraged to build their own dashboards and publish to tableau server for sharing. By enabling them to quickly build on a baseline of analytics, they can easily solve their own specific business problems and do not have to wait on BI teams. “Traditionally BI is a bottleneck but our staff are excited that Tableau is so easy to use and they’re able to seek these insights themselves. I trained one of our marketing analysts and within a few hours he went from zero understanding of the technology to building his own dashboard,” said Loong. Many of amaysim’s directors, business owners and business units currently use Tableau. Loong’s goal is to enable the entire organisation to use Tableau and create their own visualisations. Senior managers refer to a Tableau dashboard at the start of meetings. This allows them to review sales and identify opportunities or urgent areas for discussion. Traditionally BI is a bottleneck but our staff are excited that Tableau is so easy to use and they’re able to seek these insights themselves. Where is the profit margin of our individual services? Which carrier is gaining market share from us and what are the characteristics of departing customers? What’s the most profitable product? How efficient are our operational systems?